The AAL Research Unit at Carinthia University of Applied Sciences looks at how to fluidly link technologies with social environments and they are doing this through the methodology of a Living Lab. This unit participates in developing concepts, products and services in the areas of smart homes, smart health and smart interaction to improve the quality of life of older adults, under the project title, Smart VitAALity. 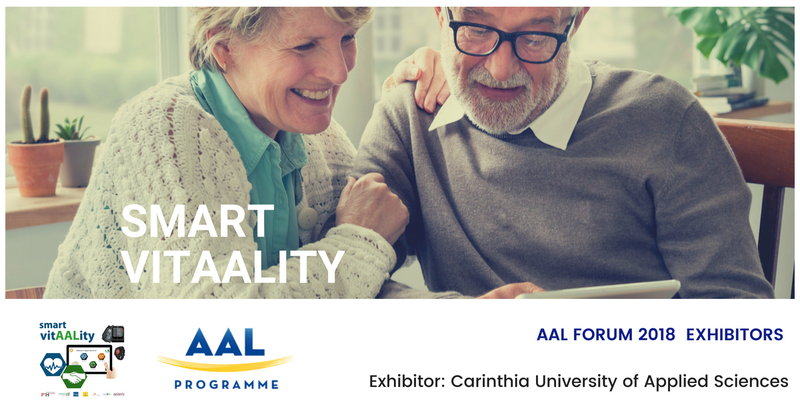 Smart VitAALity is implementing and evaluating the integration of AAL systems in 100 senior households in a long-term trail lasting 15 months with 230 users and will be testing the integration of tailoring AAL services that focus on the needs of future users, social inclusion and their personal environment. This Living Lab concept will be exhibited at the AAL Forum and will illustrate best practice examples from the project. The exhibition stand will provide the possibility to try out the Smart VitAALity system, to gain information about further projects of the Research Unit and to exchange experiences of implementing projects following the Living Lab methodology.